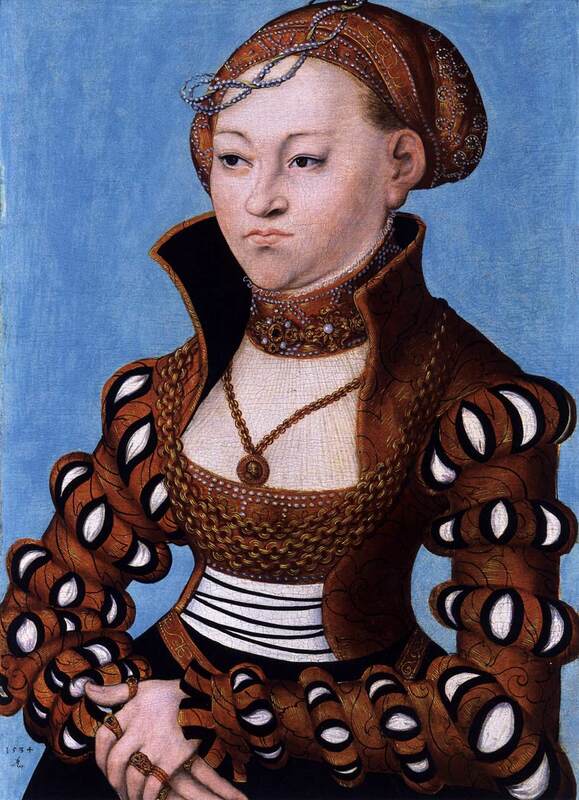 Anne was the daughter of Gaston of Foix, Count of Candale, & Infanta Catherine of Navarre. 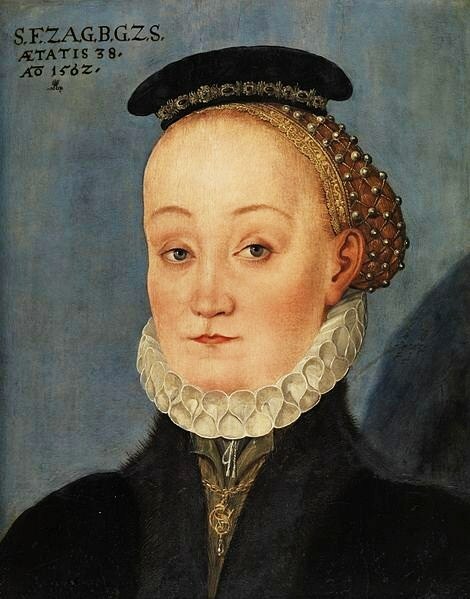 Her mother was the youngest daughter of Queen Eleanor of Navarre, & Gaston IV, Count of Foix. 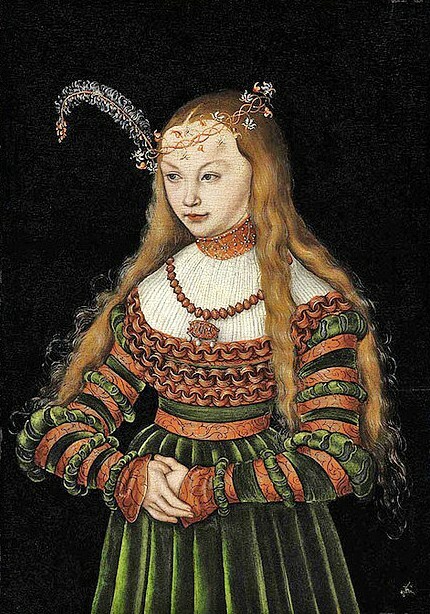 Anne grew up at the French royal court in Blois. 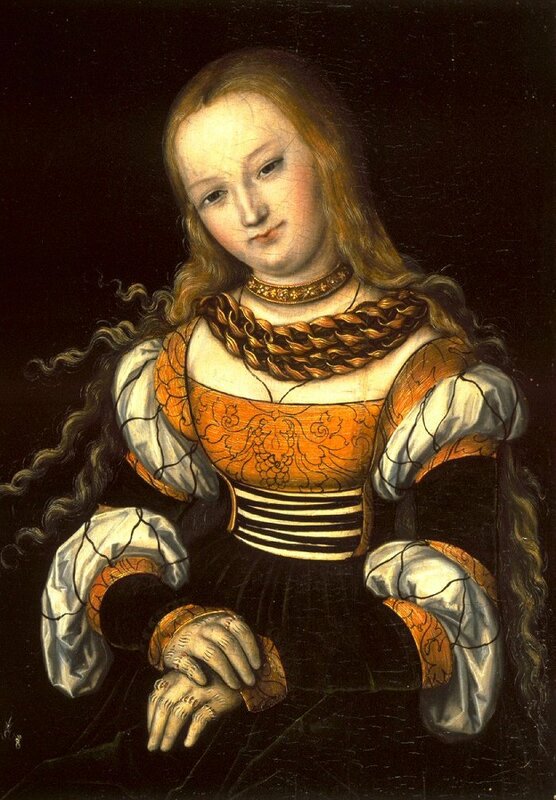 She was educated in Latin & the classics. 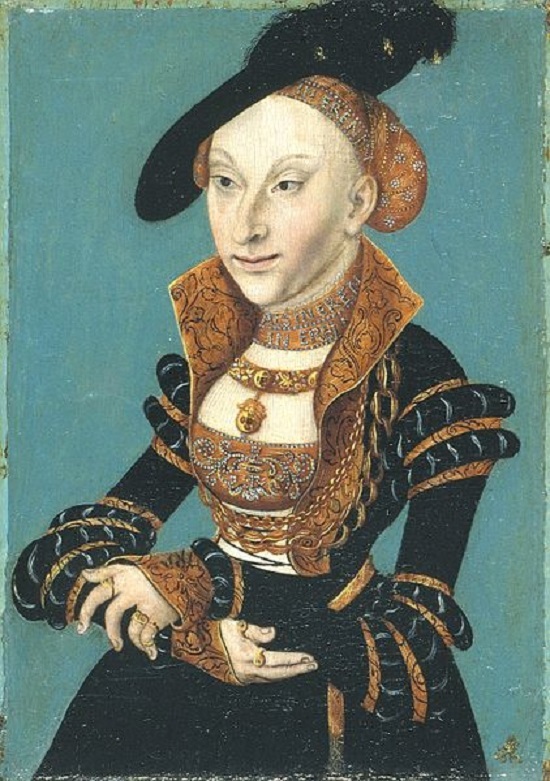 The nephew of the French monarch, the Duke of Longueville, is reported to have been in love with her & wished to marry her; but it was prevented, because a more advantageous political marriage was planned for Anne. 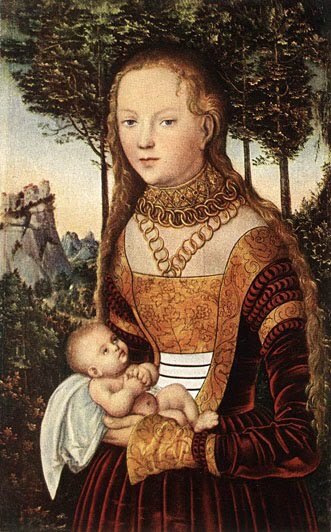 The elderly, twice-divorced & childless King Vladislaus II of Hungary of the Jagiellon dynasty had been searching a wife capable of giving him a son. 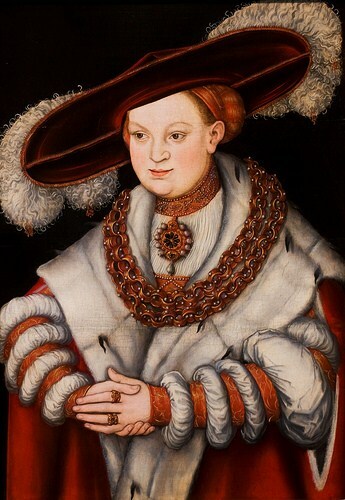 His sights were set on a powerful alliance, closely related to French royalty was acceptable. 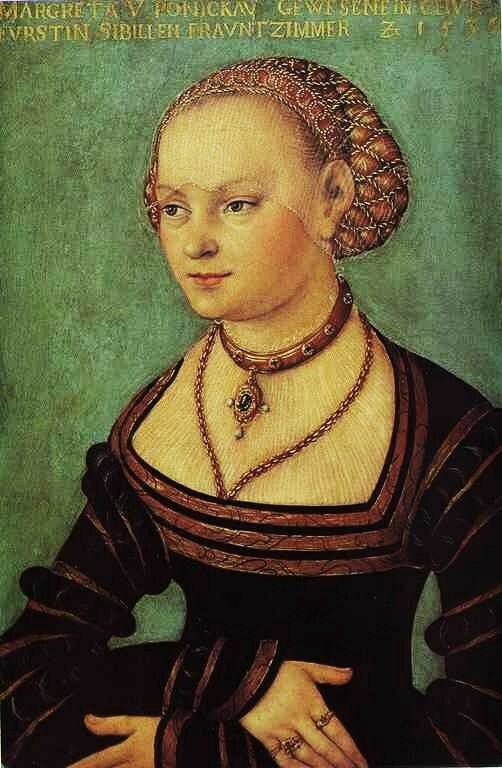 Anne was engaged to the elderly king in 1500, the marriage contract confirmed in 1501, & wed in 1502 at the French court. 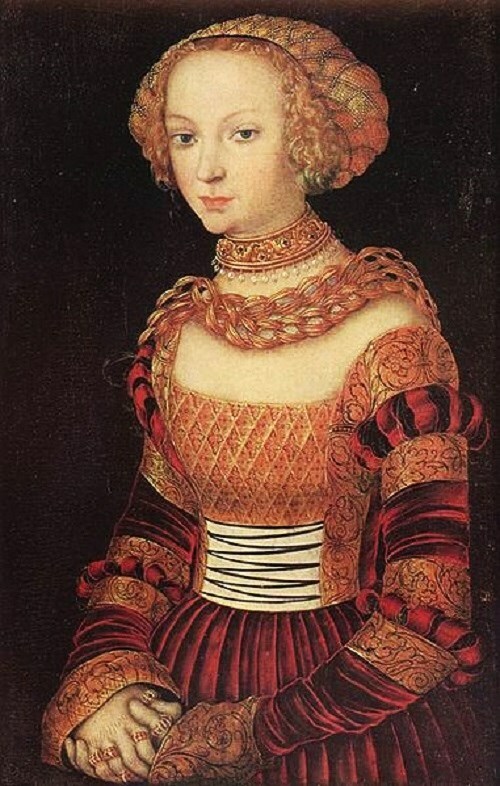 On her way to Hungary, she was much celebrated in Italy, & In Venice, a conflict was caused when France & Hungary were unable to agree about who should pay the expenses. 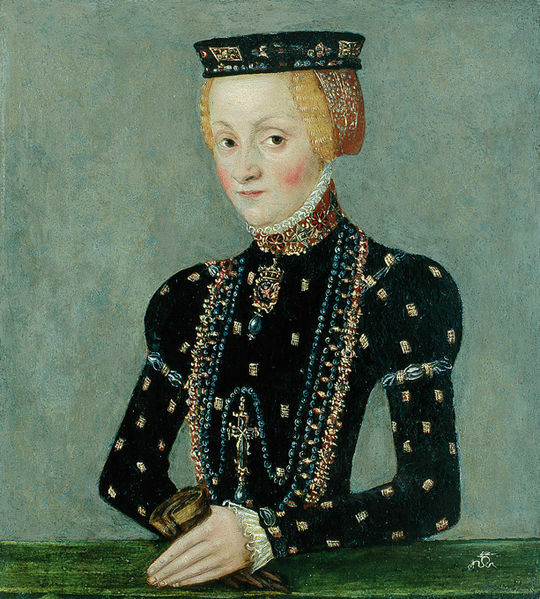 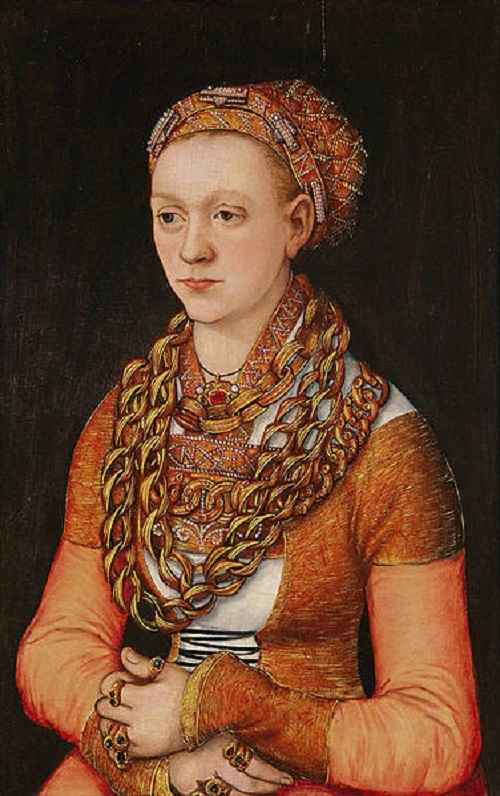 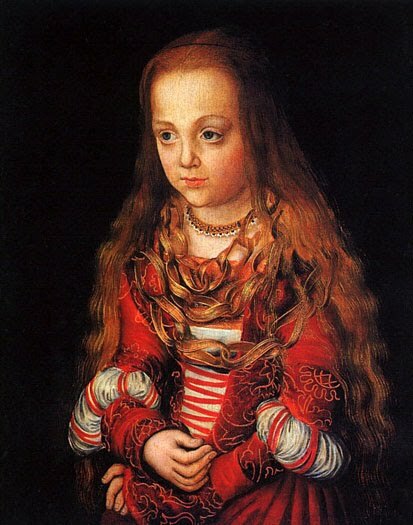 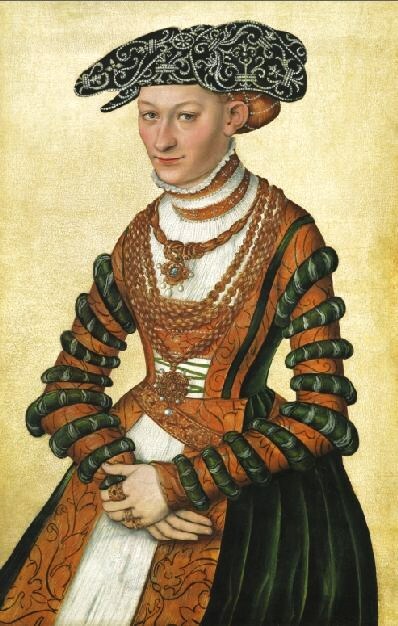 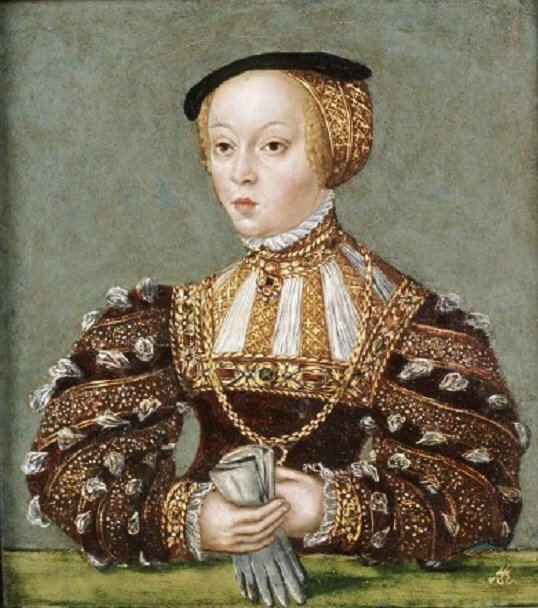 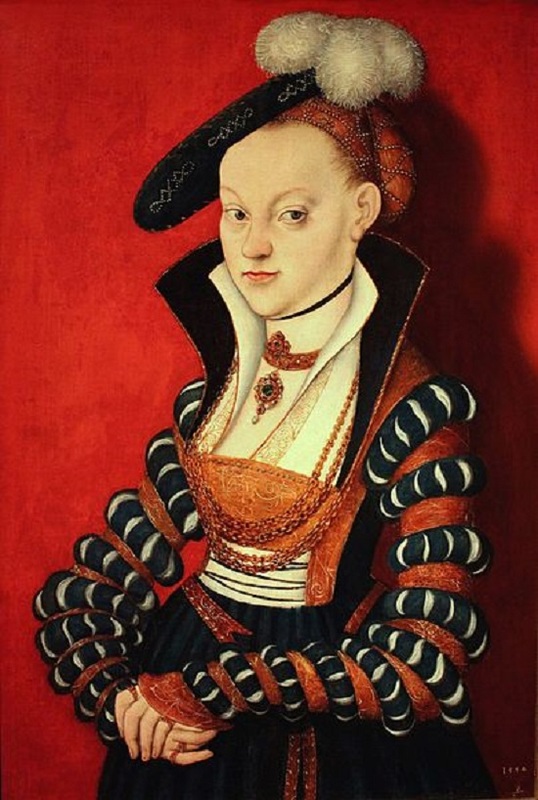 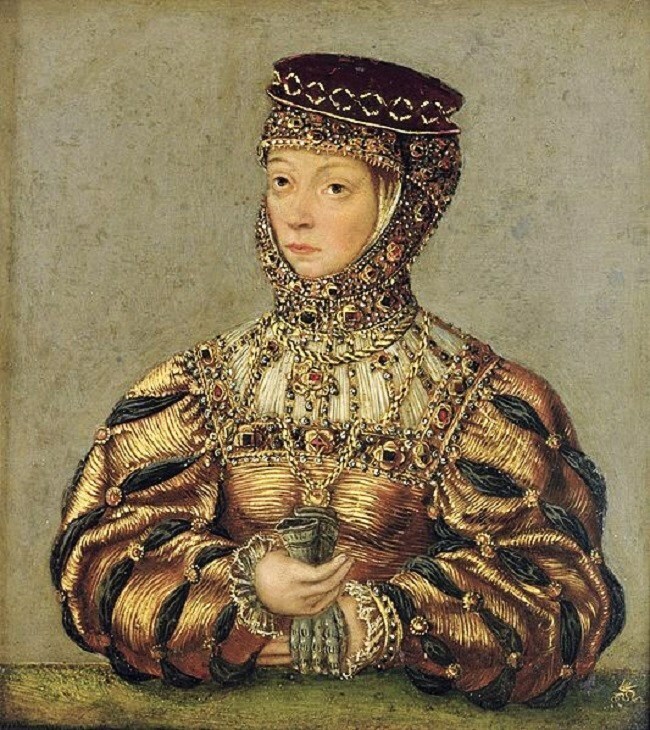 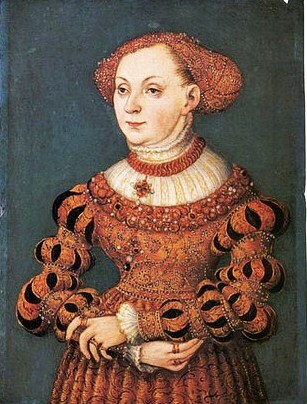 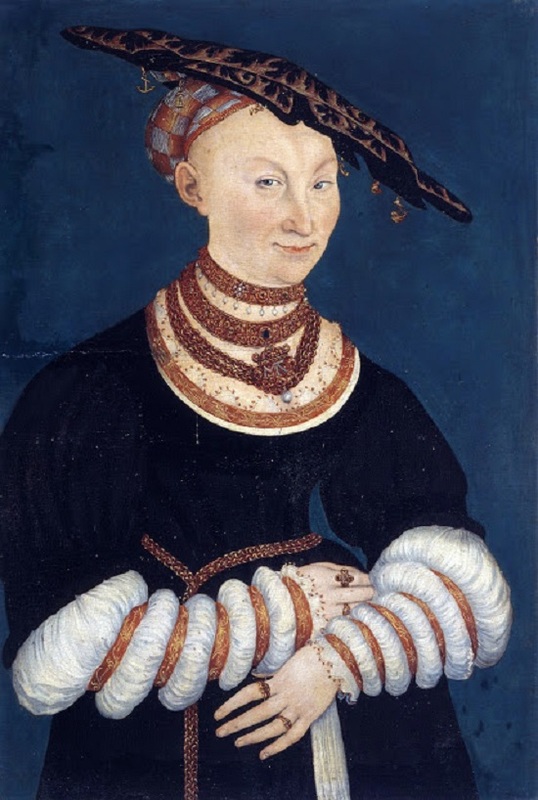 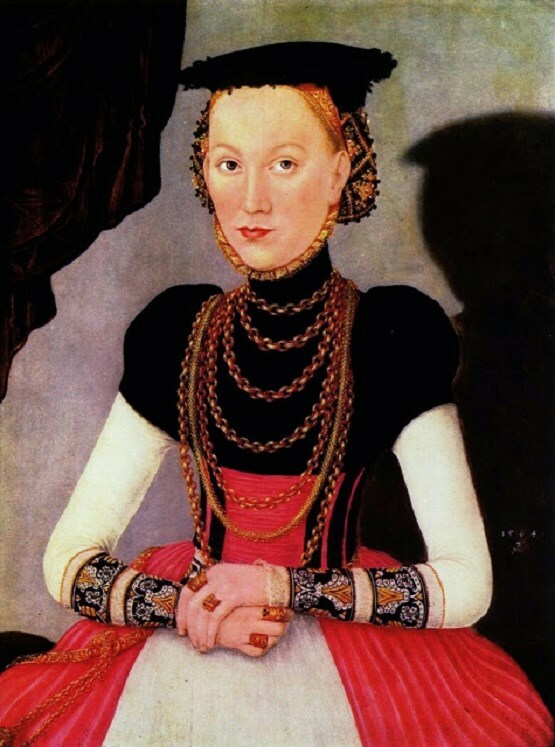 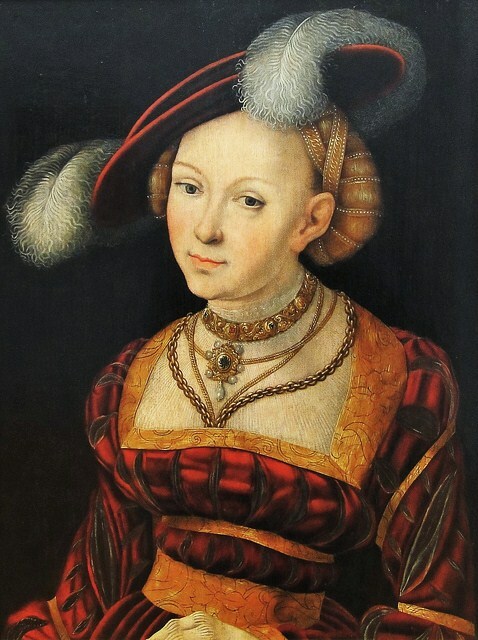 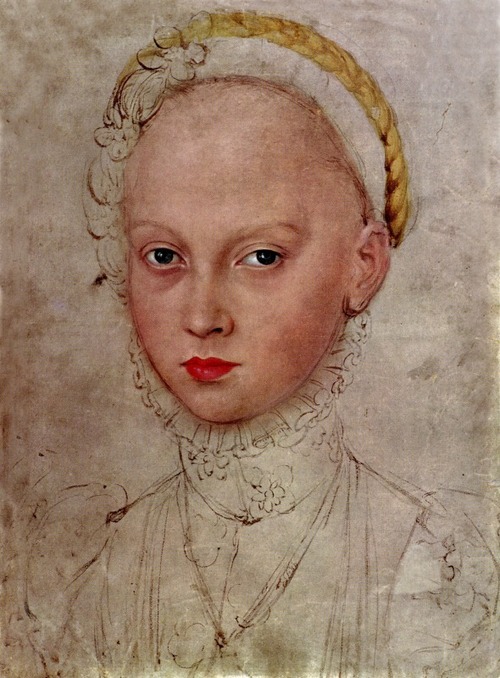 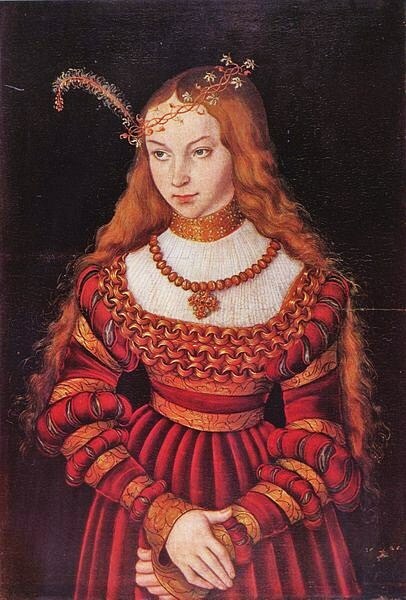 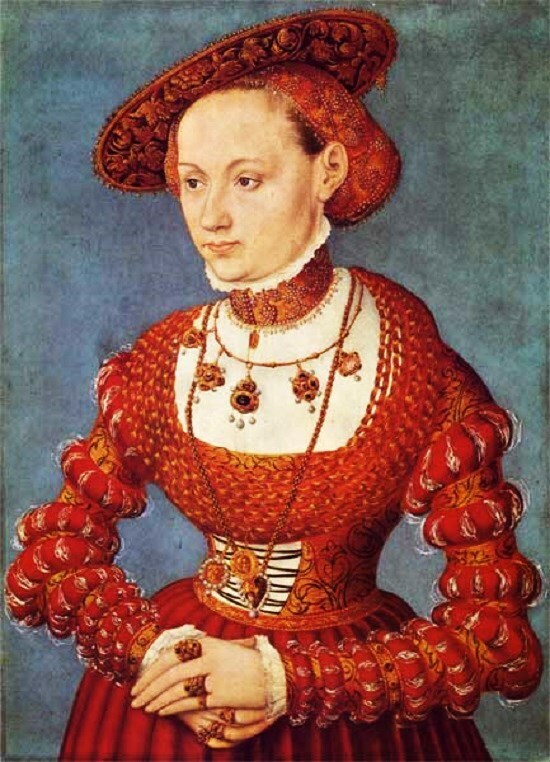 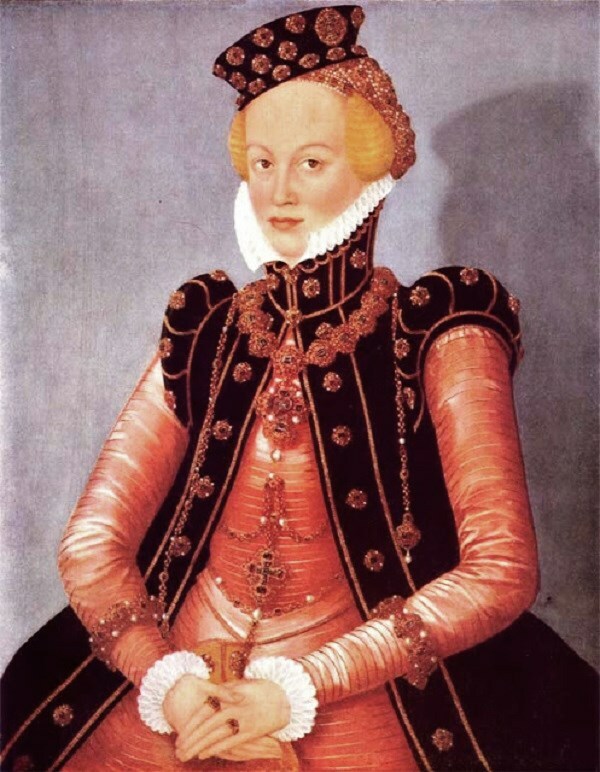 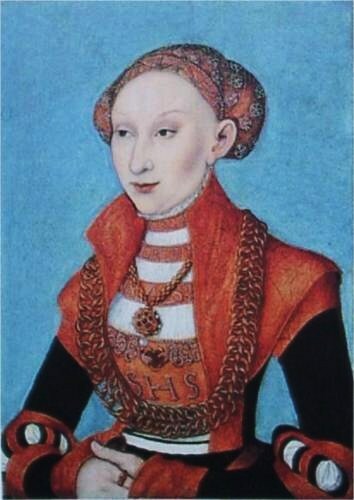 On 29 September 1502, Anne wed Vladislaus in Székesfehérvár & she was crowned Queen of Hungary there that same day. 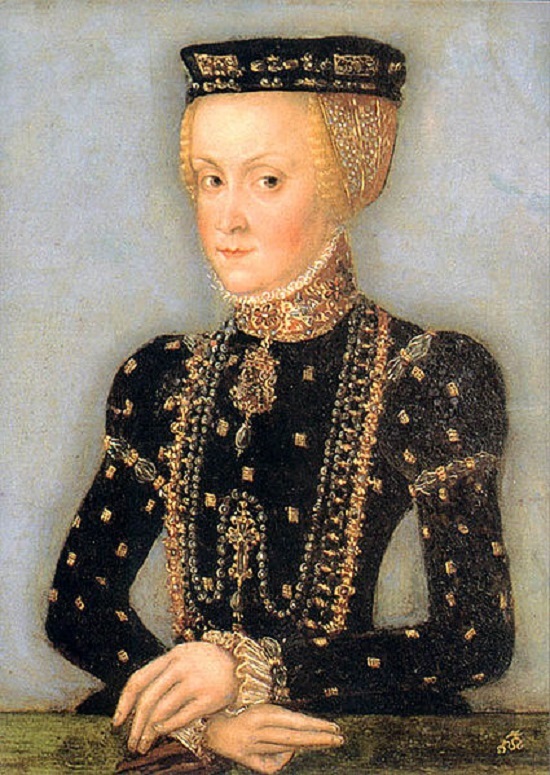 Anne brought a French court & French advisors with her to Hungary. 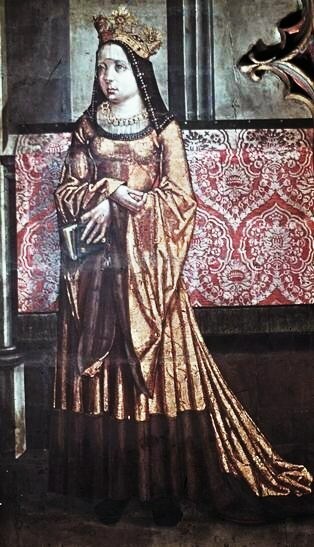 The relationship was happy at least from the king's view, & he is reported to have regarded her as a friend, assistant & a trusted advisor. 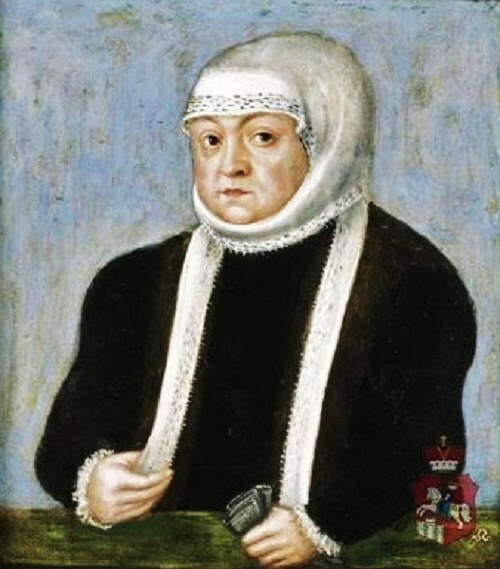 She was economically indebted to Venice. 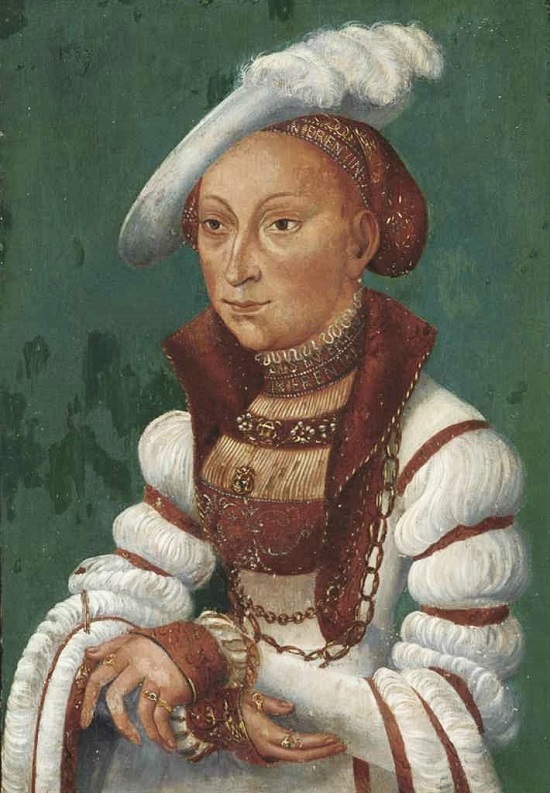 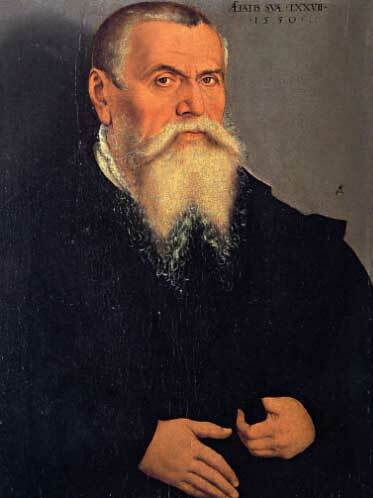 In 1506, her signature was placed on a document alongside the king's regarding an alliance with the Habsburg. 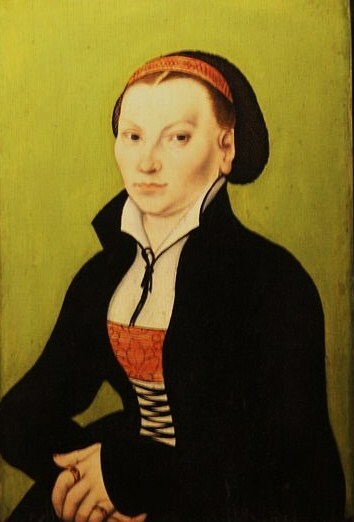 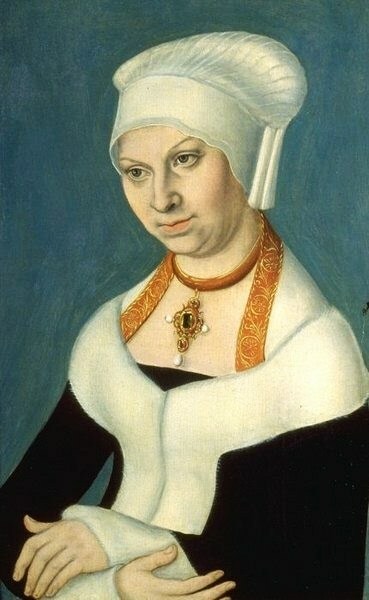 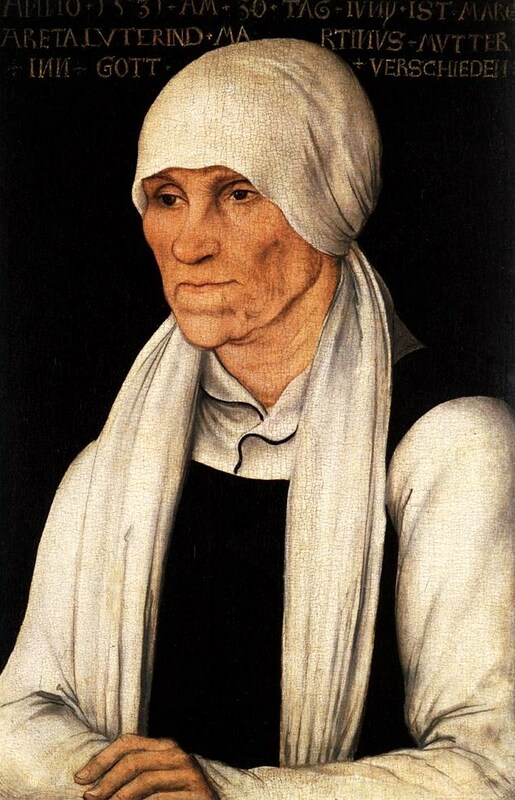 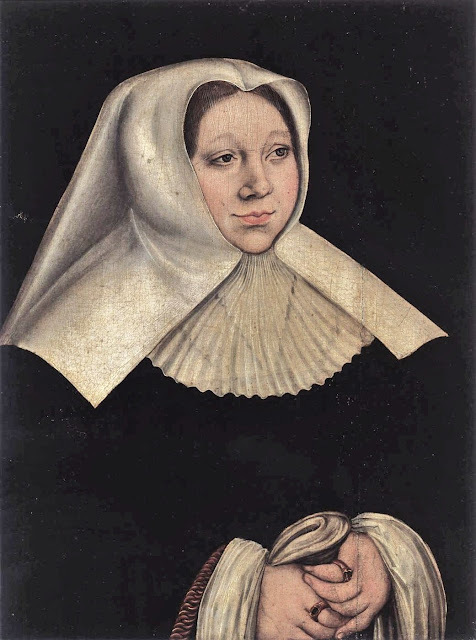 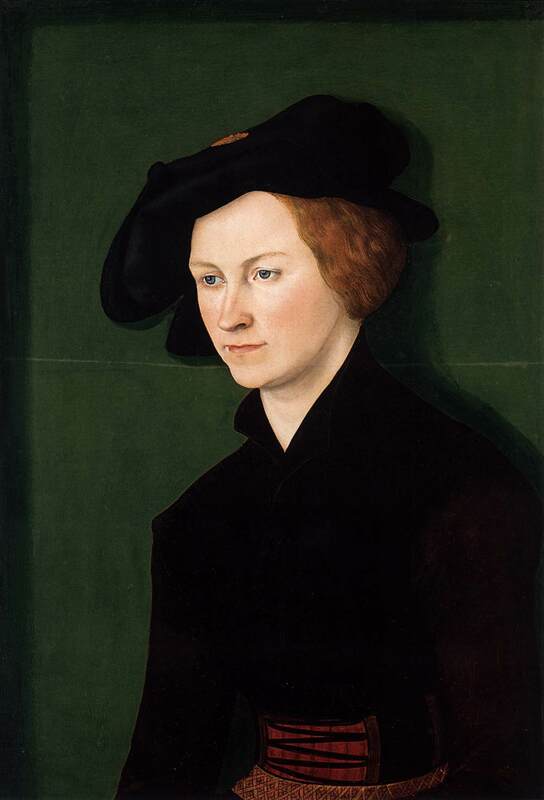 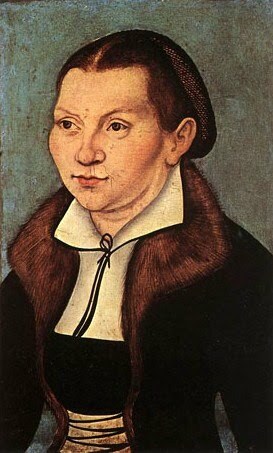 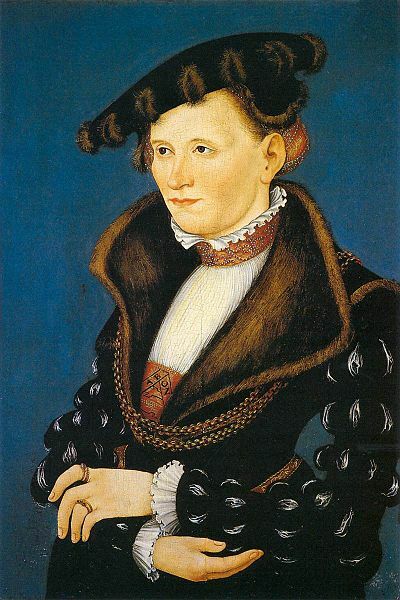 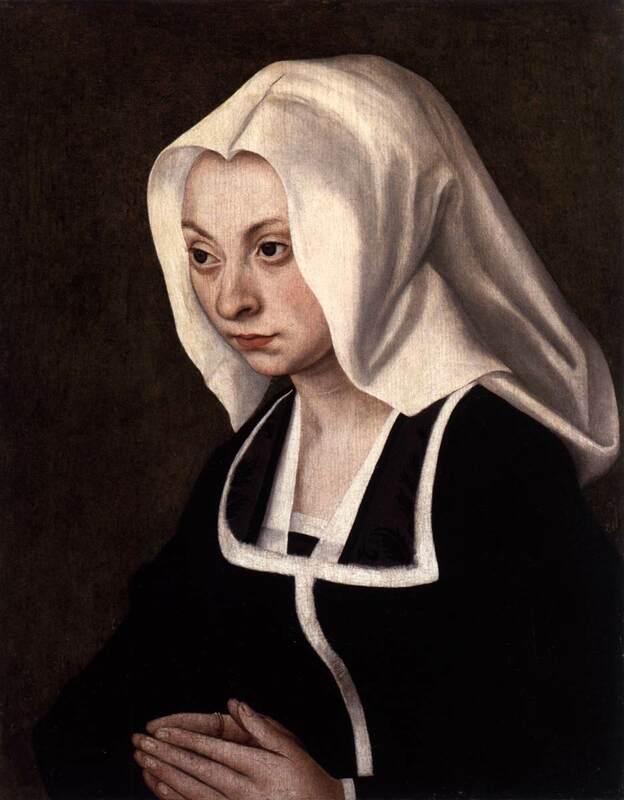 Anne enjoyed great popularity after the birth of a son, but the pregnancy ruined her health. 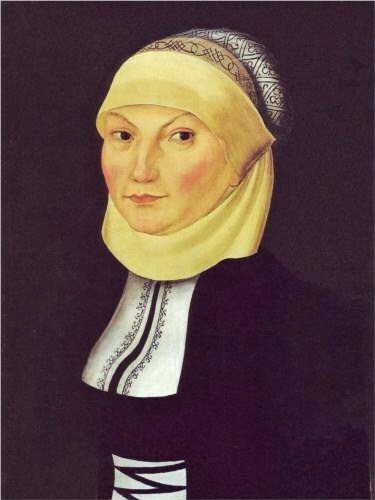 She died a little more than 3 weeks later, as the result of complications from her son's delivery, at the age of 21 or 22. 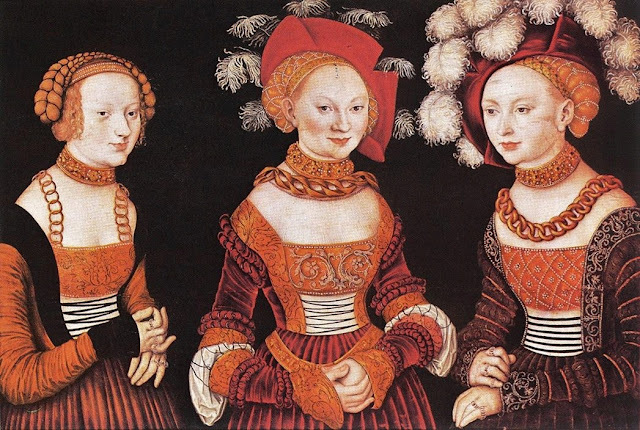 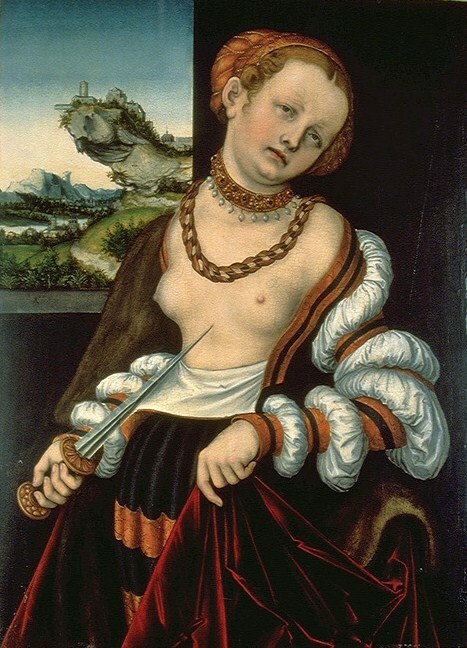 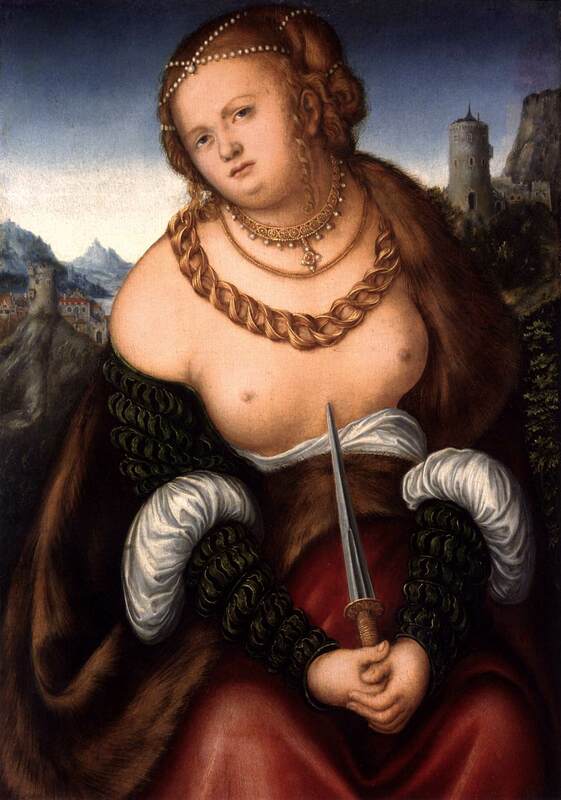 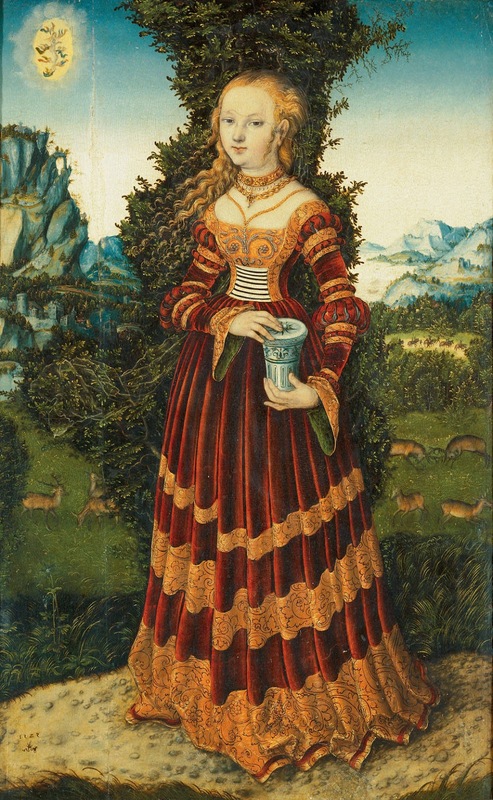 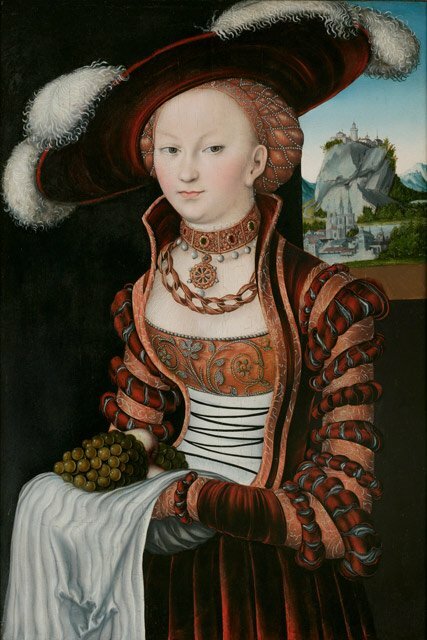 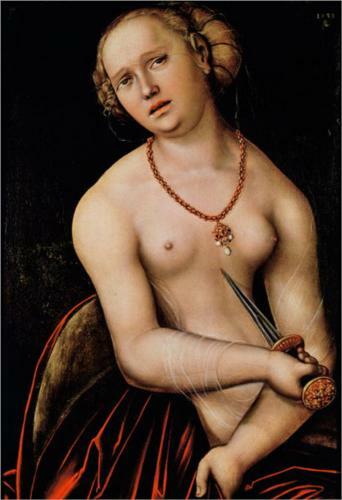 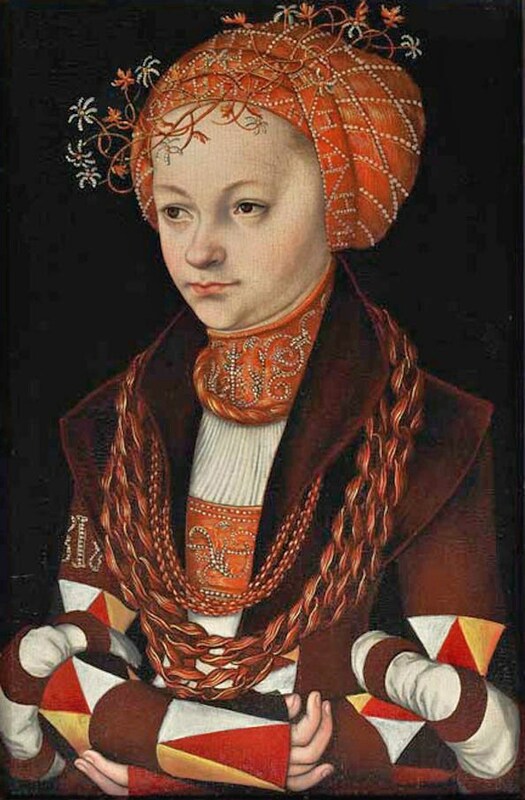 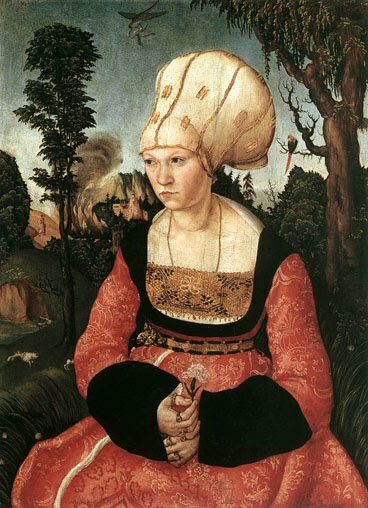 Cranach & his relatives & followers painted the suicide of Lucretia in almost 40 versions. 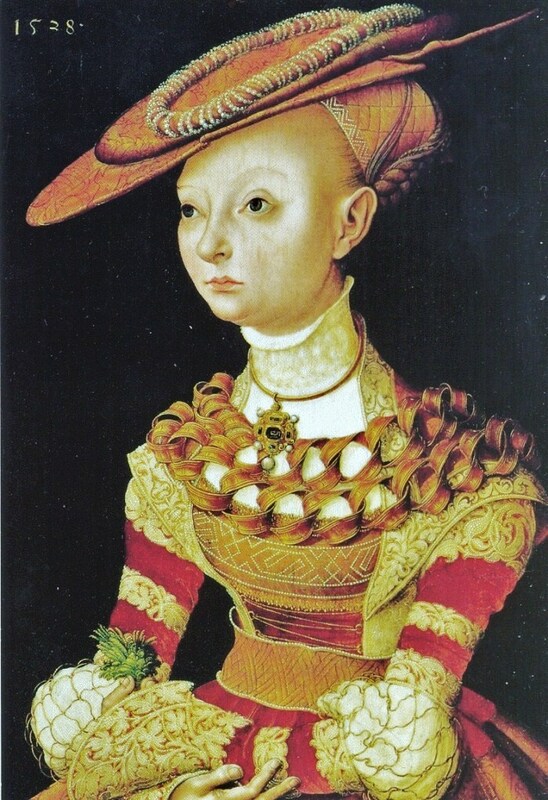 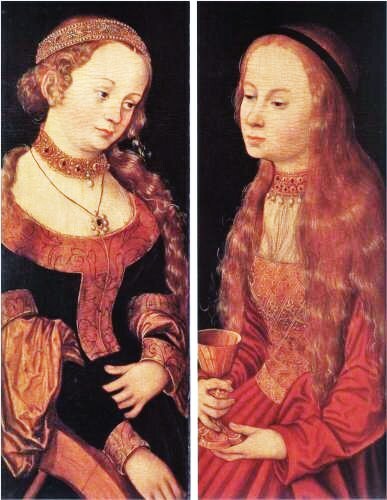 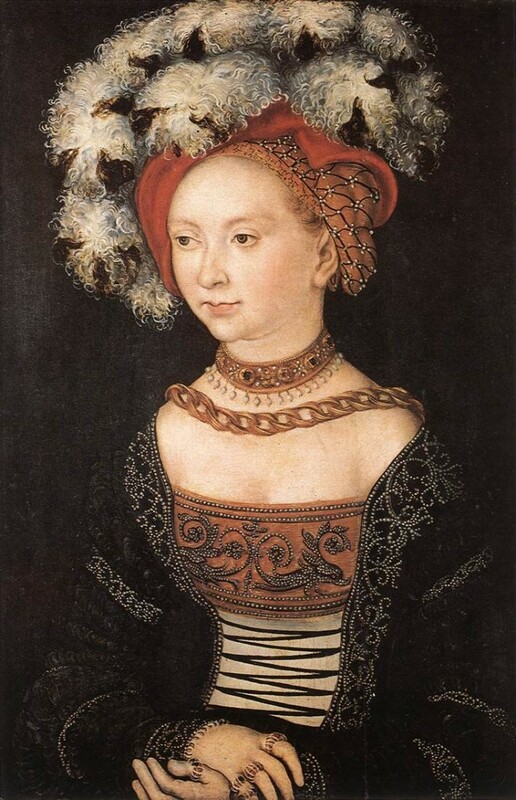 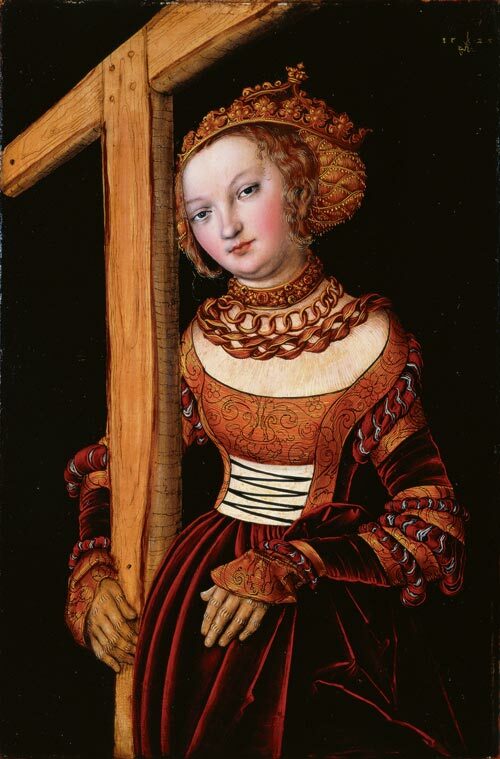 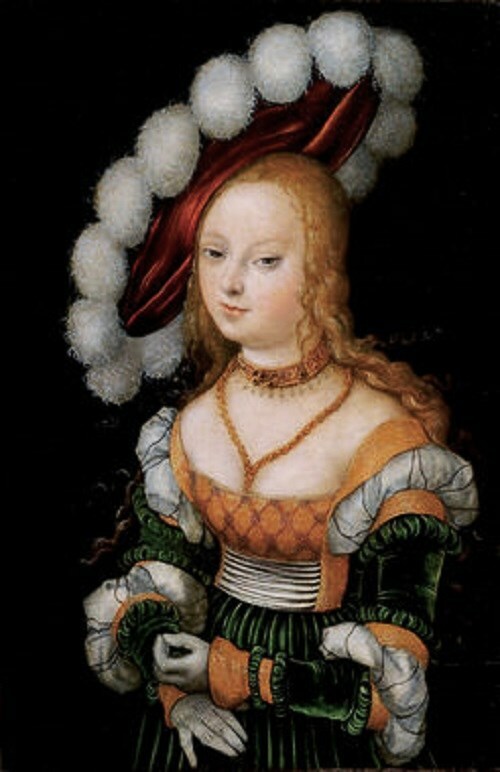 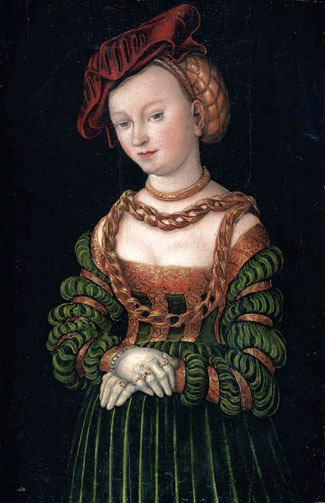 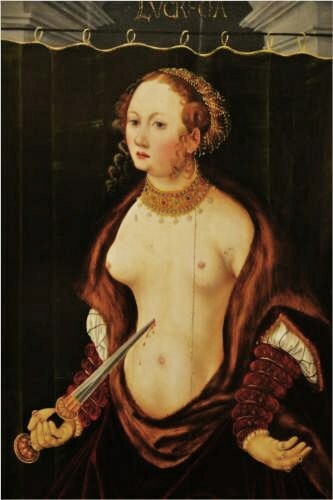 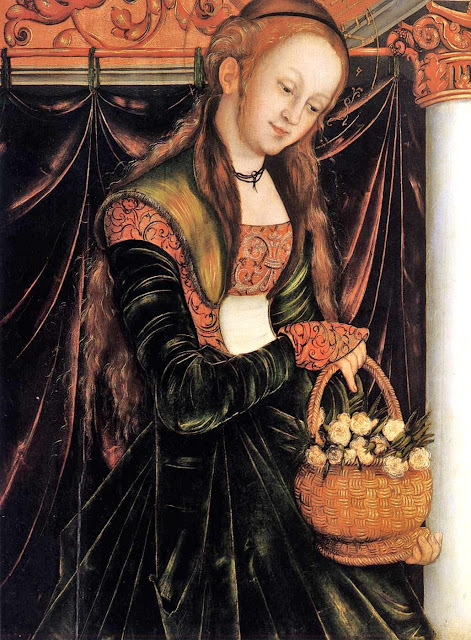 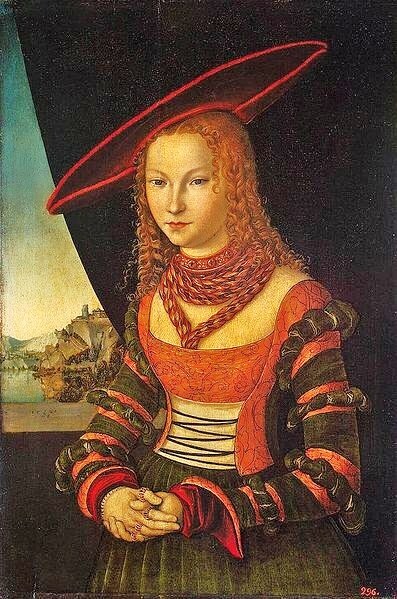 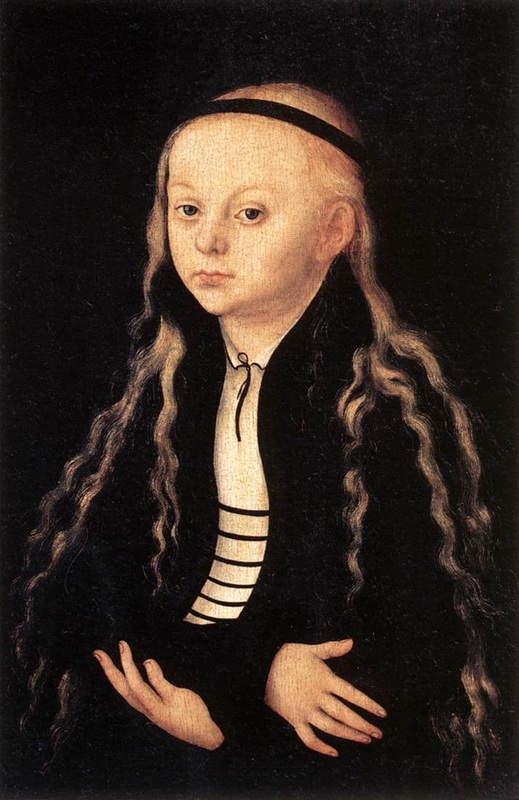 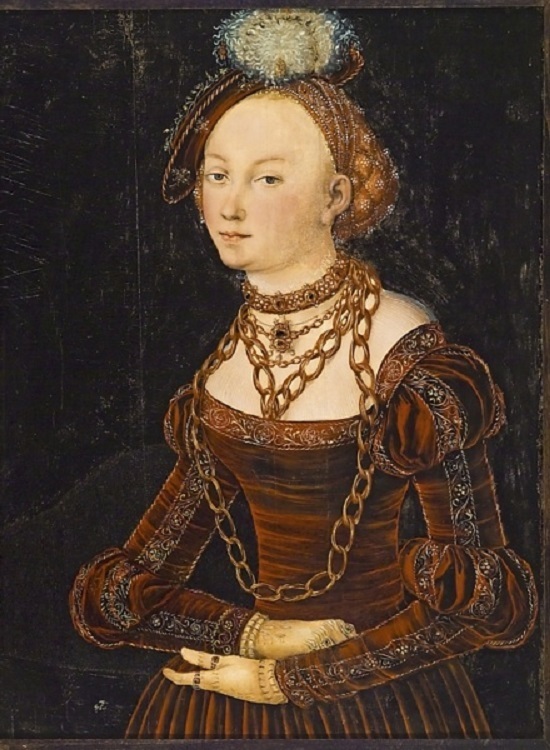 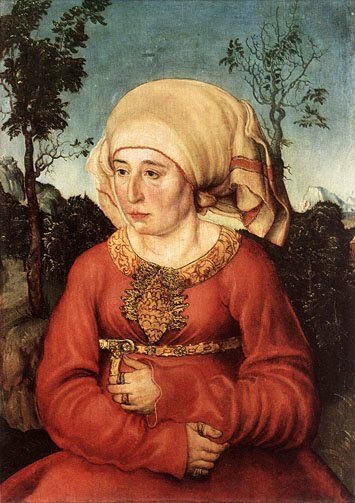 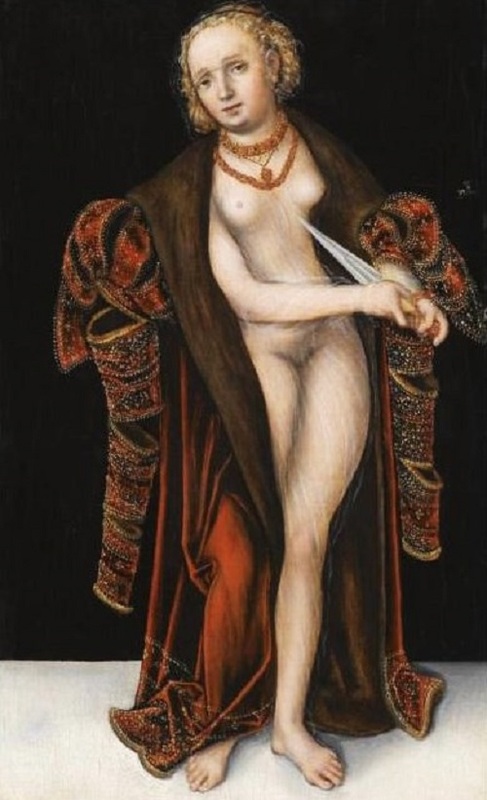 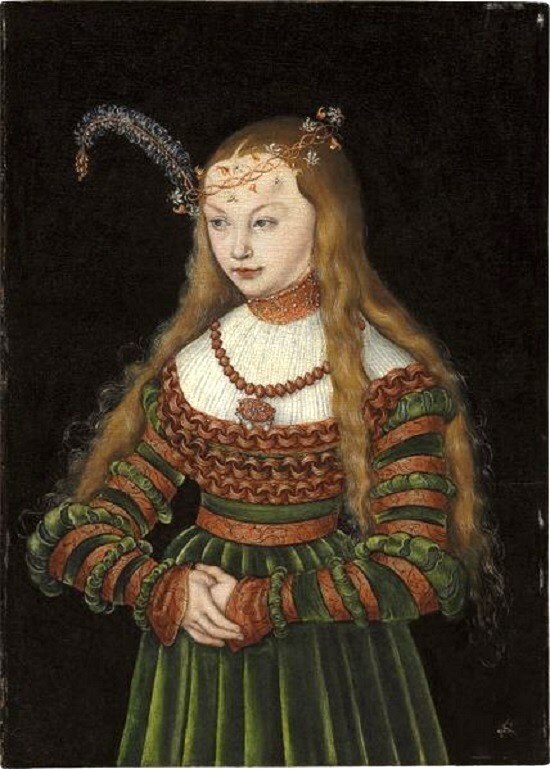 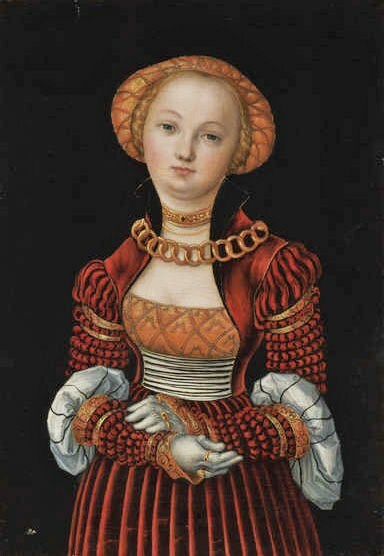 Lucas Cranach (Northern Renaissance Painter, 1472-1553) and his workshop Lucretia c 1509 Cranach painted the suicide of Lucretia in almost 40 versions.